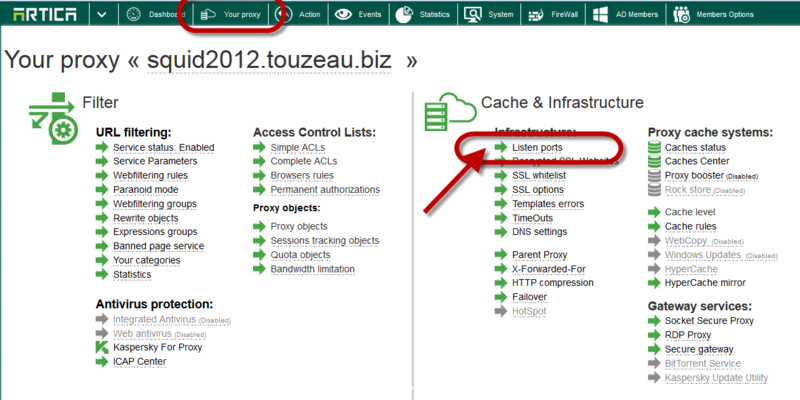 Click on Your system on the top menu. 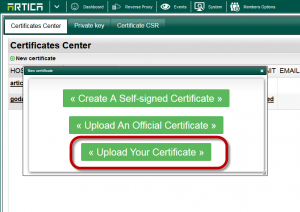 Click on Certificate CSR tab. The most important field is the Common Name, it should be a full domain if you purchase a single domain. 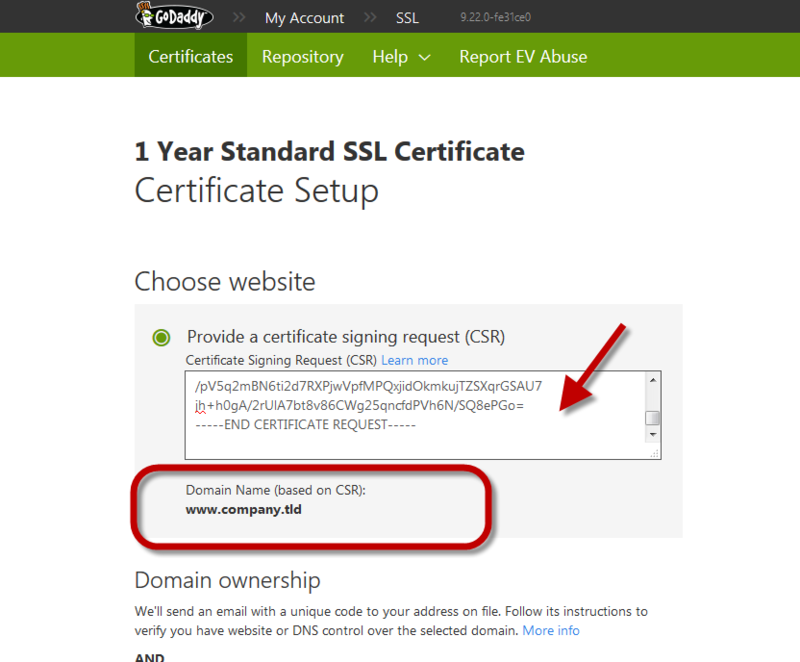 If you have purchased an illimited sub-domains (wildcard certificate), add a star and your domain. 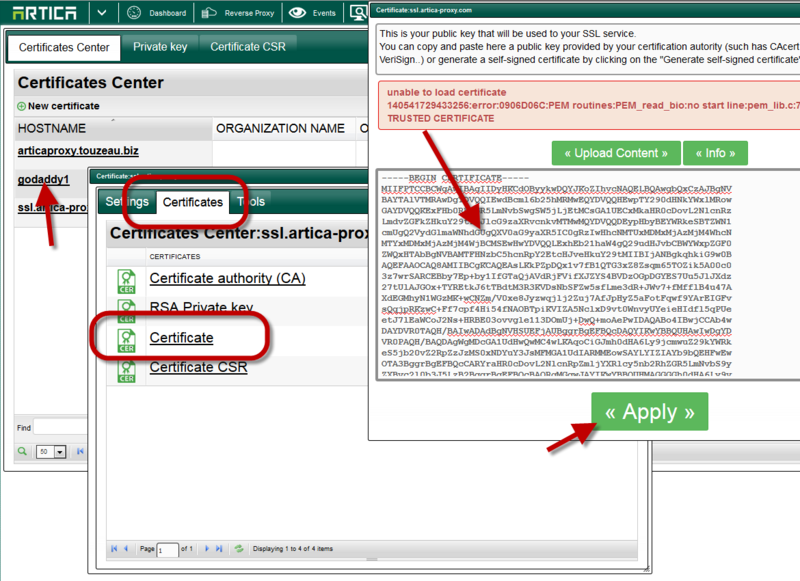 Click on Generate the Certificate request button after fill the form. 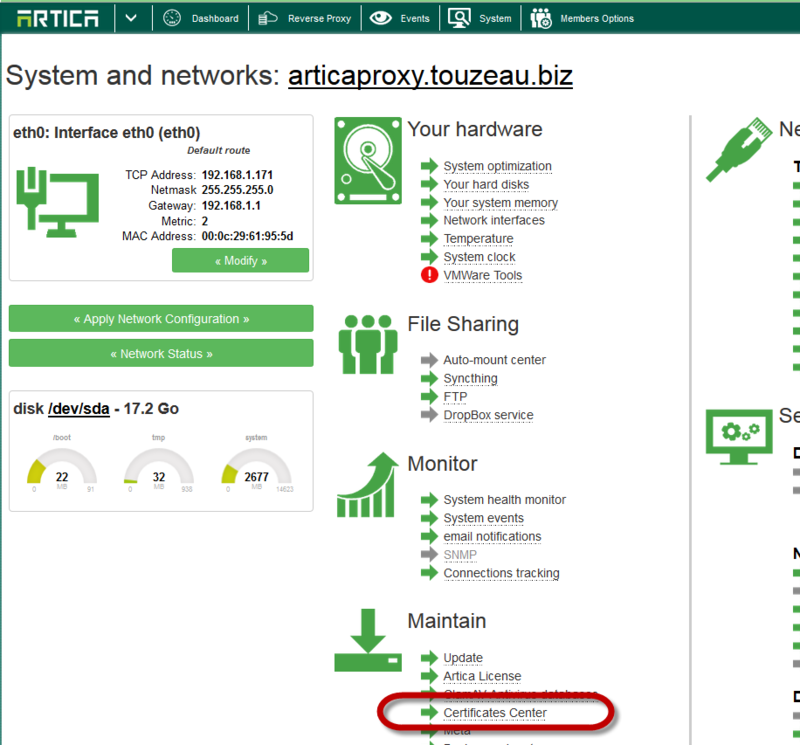 Copy the data displayed in the text area. Login with your GoDaddy account. 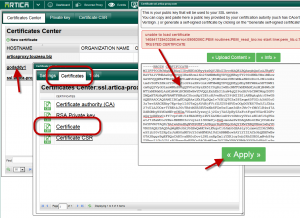 Paste the generated certificate to the form. 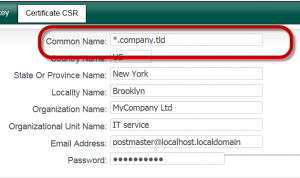 The form will show you the certificate name based on the Common Name defined trough the Certificate Request form. 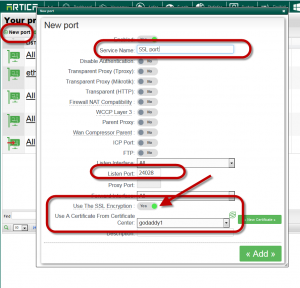 Follow the Godaddy instructions in order to retreive your certificate. 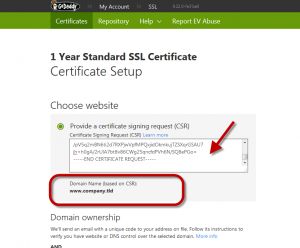 On the Godaddy website, download your certificate zip file, use the “Other” server type. With notepad, open these files. Add the content of the gd_bundle-g2-g1.crt after the content of the certificate file. 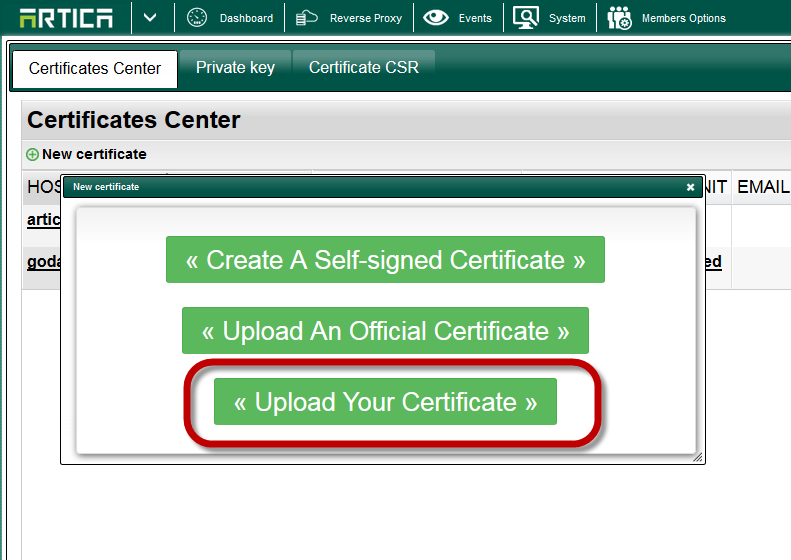 Choose “Upload Your certificate” button. Give a name of your certificate. Click on the added entry. 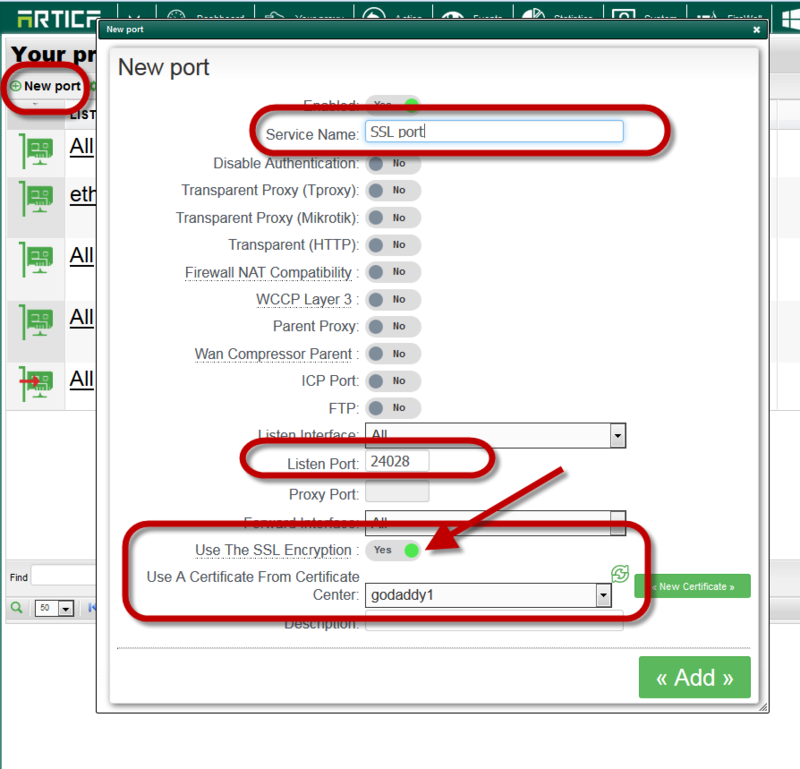 Turn on Use SSL encryption option. 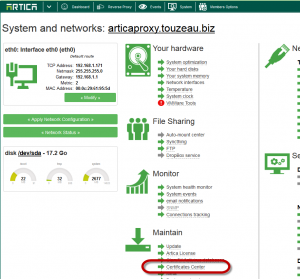 Choose your Godaddy certificat in the drop-down list.